Some works are such landmarks in music that when they appear on a concert program, there is a sense of occasion for the event. That was the case Friday evening, January 18, when the well-respected pianist Peter Serkin presented Bach’s Goldberg Variations as the highlight of his recital. Serkin is no stranger to this work. In his welcoming comments to the audience, Philadelphia Chamber Music Society Artistic Director Miles Cohen noted that the CD on sale that evening was the pianist’s fifth recording of the “Goldbergs.” Of course, there were other pieces on the program (see below). But it was the opportunity to hear the Goldberg Variations in live performance for the first time that brought me to this concert. First, let’s talk about the music. No matter how many times I listen to it, I am awed by the creative force behind this piece. This nearly hour-long work begins and ends with a gorgeous, ornamented “aria.” In between, the 30 variations explore a wide range of moods and musical expression. But the theme remains recognizable in each of the variations, no matter how far Bach goes in imagining a new way to present it. "The 30th and last variation….is a light-hearted ‘Quodlibet,’ or potpourri, in which two popular songs of Bach’s time—‘I’ve been away from you so long’ and ‘Cabbages and turnips have driven me away’—are interwoven in a freely canonic texture over the ever-present bass." Sounds more like PDQ Bach than JS Bach! As thrilled as I was with this music, my impression of this performance was decidedly mixed. Serkin’s rendition was clearly well thought out, reflecting the decades he has devoted to this piece, and I marveled at his exquisite control of the keyboard. But there was something lacking to this listener. There are variations which should be exuberant, but they sounded restrained. One or more of these variations should come across as playful, but Serkin’s approach was more deliberate. In general, I was looking for more “personality” in this performance, Serkin’s or Bach’s—or better yet, both. In the first half of the program, Serkin presented two appealing late works by Mozart: the Adagio in B Minor, K. 540, and the Sonata in B-flat Major, K. 570. The Adagio, by definition, is a slow work, but Serkin’s especially slow and uneven pace diminished the enjoyment of this piece. The Sonata was more successful, although the extended 2nd movement—an Adagio--could have been improved if Serkin had maintained a steadier rhythm. You picked up on some things I have observed about Peter Serkin in the past, particularly tempi. If you recall his old two-LP set of works by Mozart on RCA (now on Japanese CDs, and pricey), I always thought Peter Serkin took the Glenn Gould approach when playing Mozart … in other words, why do it like everyone else? 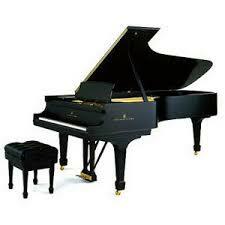 I have long admired the pianist and collect his recordings with great interest. Still, like his father, Peter has his own thoughts on interpretation and though they may not be "traditional," it is another view by a very fine pianist.